For information about the four rooms Mattamy Athletic Centre has to offer, see below. Please Note: Activities and/or music from the arena can be heard in the Alumni Lounge. Do not book the Alumni Lounge if you need a quiet space. 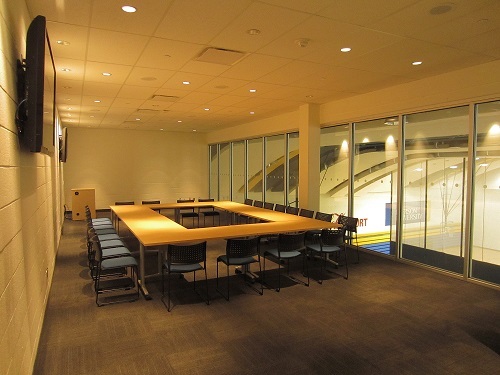 Located on the 4th floor overlooking the ice surface, the Alumni Lounge is the perfect place to hold your next meeting, corporate event, or cocktail party. The room is approximately 2,400 sq.ft. and comes fully equipped with its own sound system, two projectors and screens, and can be set up in a variety of configurations depending on the needs of the event. Groups also have the opportunity to book the East and/or West Concourse in order to accommodate larger events. Please note that the temperature on the Concourses can get a little cool due to their close proximity to the ice surface. The rental rate of the Alumni Lounge is $150/hr plus HST or $75 per hour for Ryerson University Groups. 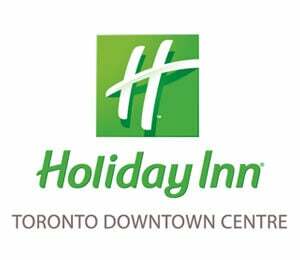 Additional fees will apply based on set-up requirements and a $150 plus HST fee is added for use of the in-room AV. Ryerson Eats will take care of any of your catering needs. Please Note: Activities and/or music from the court can be heard in Eggy's Summit. In addition there is a hum from the ice plant next door. Do not book Eggy's Summit if you need a quiet rental space. 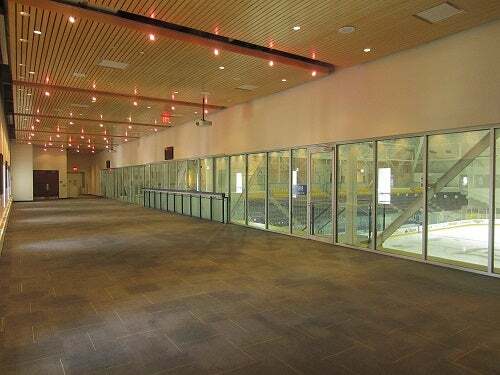 Located on the 3rd floor, overlooking the Coca Cola Court, Eggy's Summit is an intimate room that can be used for meetings, cocktail parties or birthday parties. The room holds a maximum of 30-40 people depending on the set up. Eggy's Summit is just over 800 sq.ft. and has 2 television screens where you can display presentations, slideshows, or videos through HDMI or VGA connection with your laptop. The rental rate is $50/hr plus HST, and there is a $250 premium for external bookings during a Ryerson varsity game. A $50 plus HST fee is added to use the in-room AV. There is no rental fee for Ryerson University groups to book this room in default. If required additional setup fee may apply. The Blue and Gold Room and The Bunker are both located on the 3rd floor of the building. These two rooms can be used for meetings, training and break out rooms for larger events. Each room has a projector, and can fit 30-40 people comfortably. The rental rate is $50/hr plus HST for an external rental. A $50 plus HST charge is added to use the in-room AV.